This year I’ve been sharing this gorgeous little gift box with my customers and just finally getting round to catching up with posting Tutorial. 3. Attach a 2¾“ piece of DSP onto 3″ square of card. 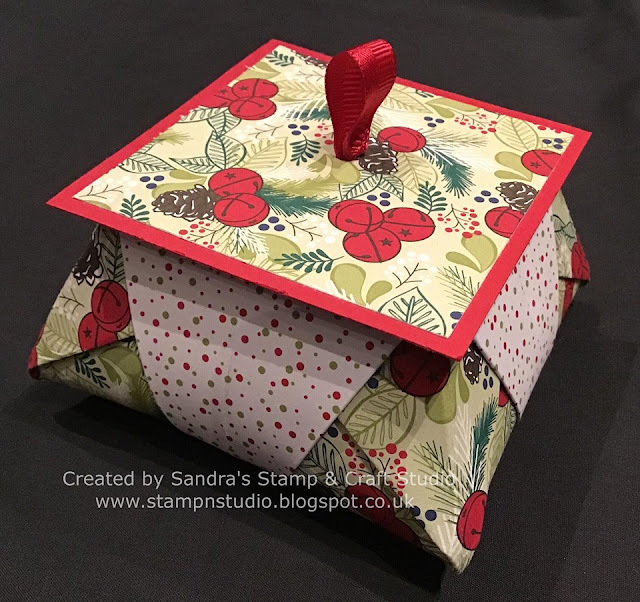 Posted in #foldingpaper, #Origamibox; #freetutorial.